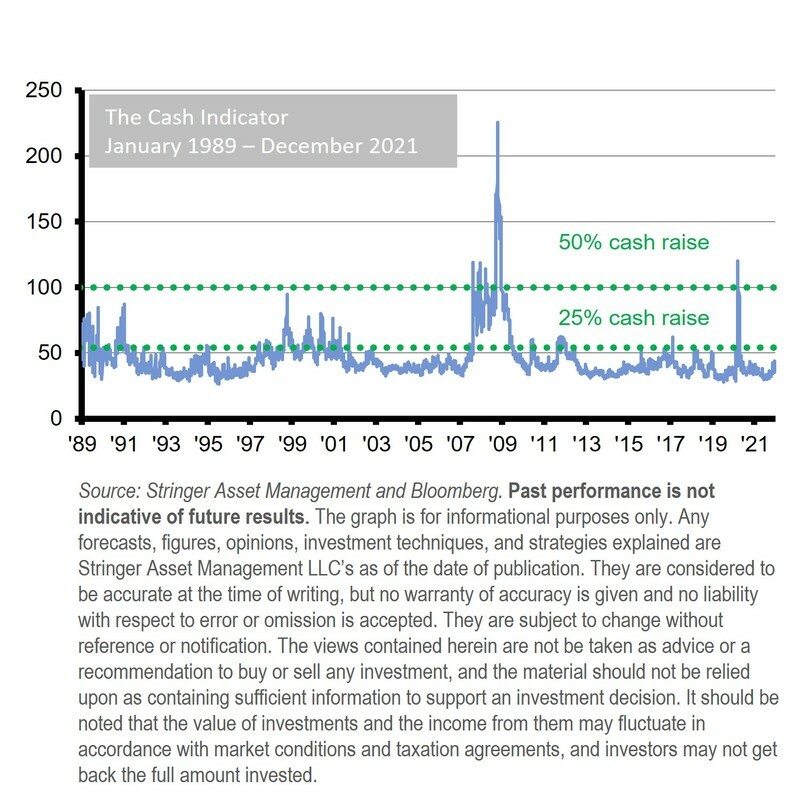 We have found that the excessive correlation of certain volatility indicators related to the equity and fixed income markets provides us with an early warning system and a well-defined process for identifying extreme outlier markets. Our studies have shown that significant preservation of capital and enhanced return can be achieved when we are able to exit the equity and alternative markets during these events. Our process allows us to increase the cash allocation up to 25% or 50% of the portfolio during those events and, hopefully, redeploy that cash in the future at more attractive valuations.